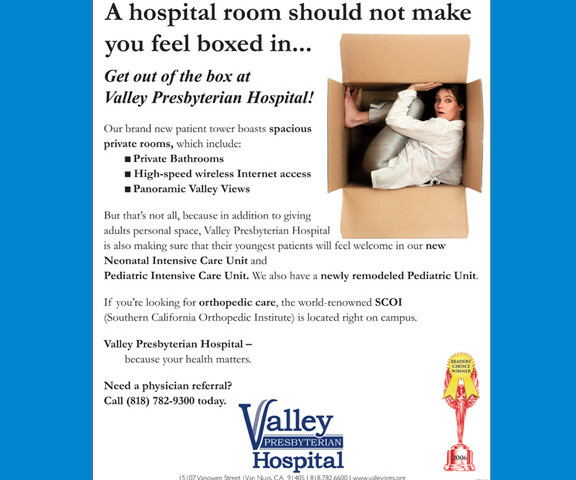 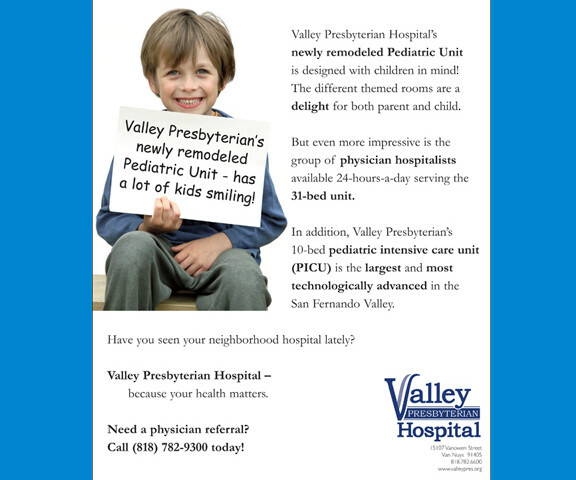 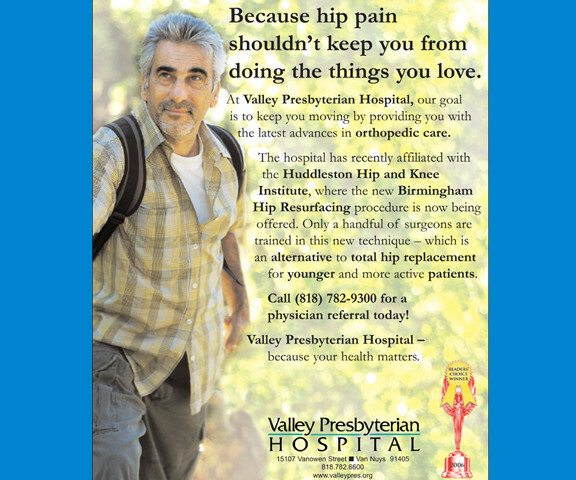 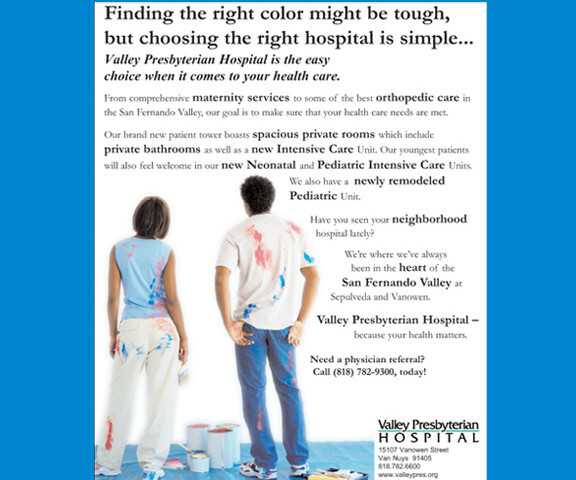 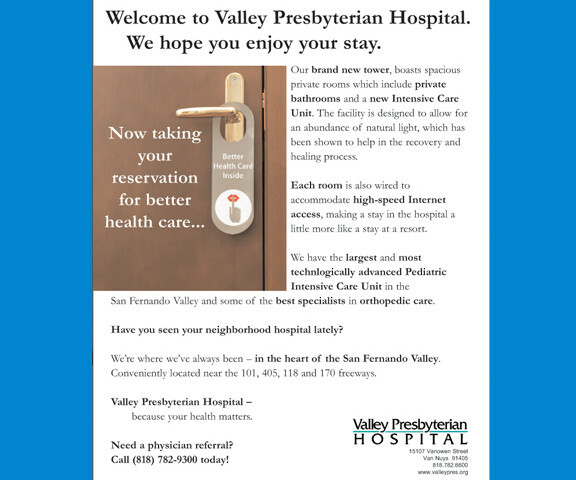 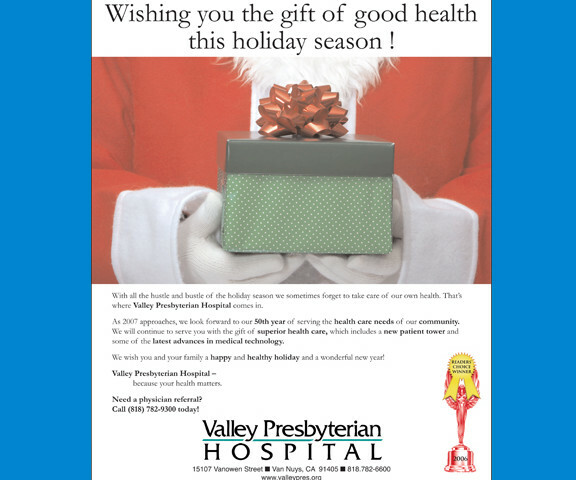 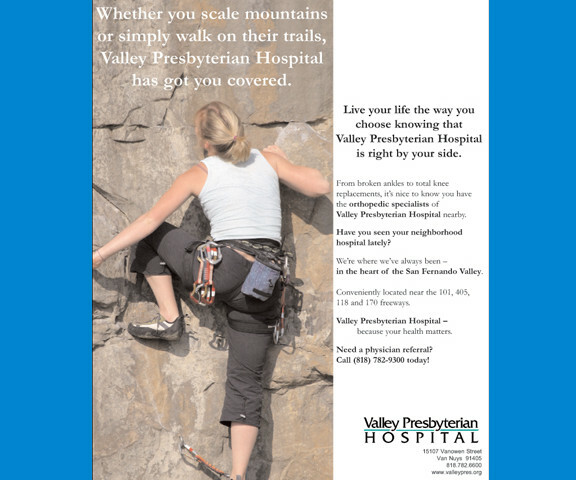 A series of ads was created for Valley Presbyterian Hospital over the course of 18 months. 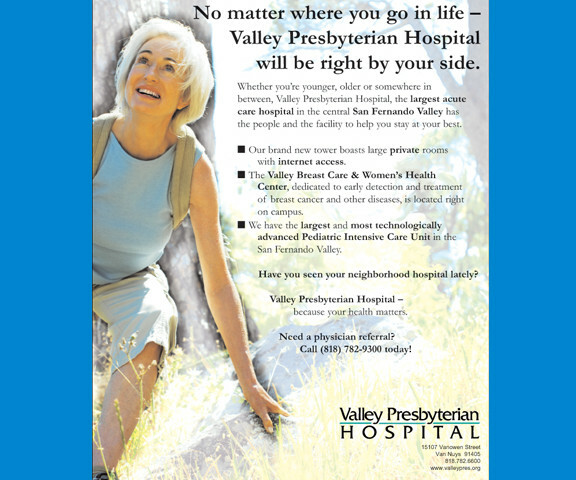 The ads were written and designed to highlight the hospital’s long history in the community and highlight it’s new tower, technology and services. 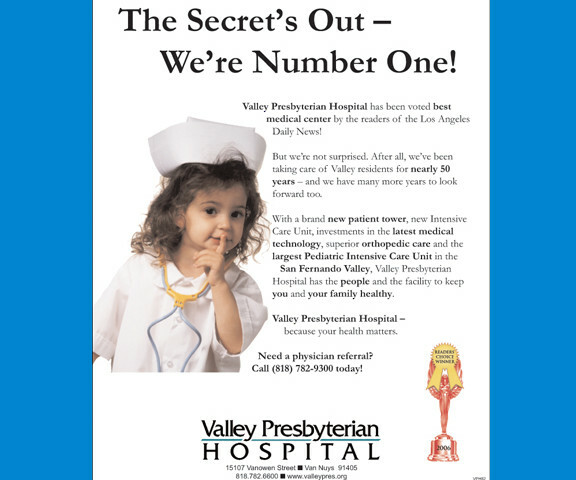 The ads ran in multiple print mediums including, the LA Times, LA Daily News and various local and national periodicals. 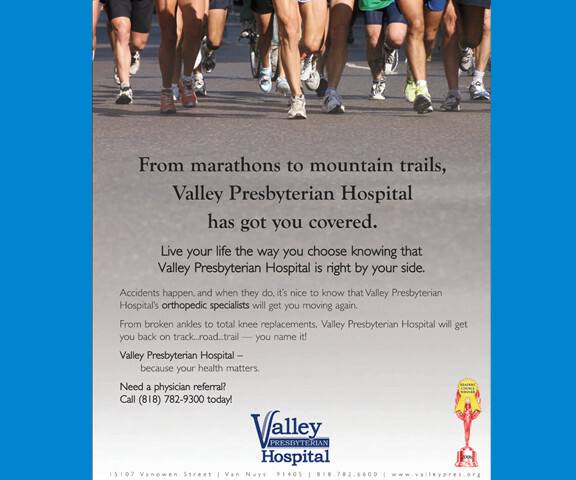 The new homeowners ad won a Silver Award from the HPRMA (Healthcare Public Relations and Marketing Association) for corporate identity.